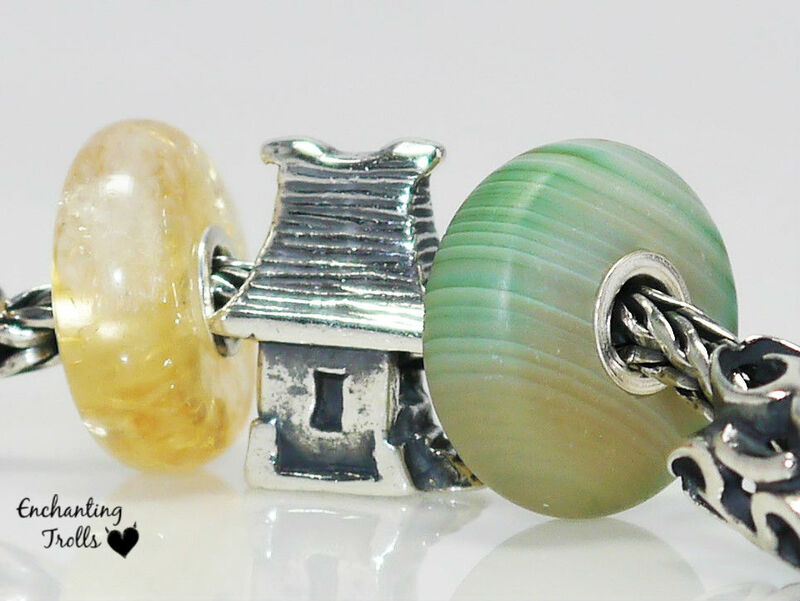 With all the excitement of Trollbeads Day last Saturday, and the unveiling of the beautiful Trollbeads Day bead, we must not forget that at the same time we saw the debut of Trollbeads summer stones kit for 2015, the ‘Sunbeam Kit‘. 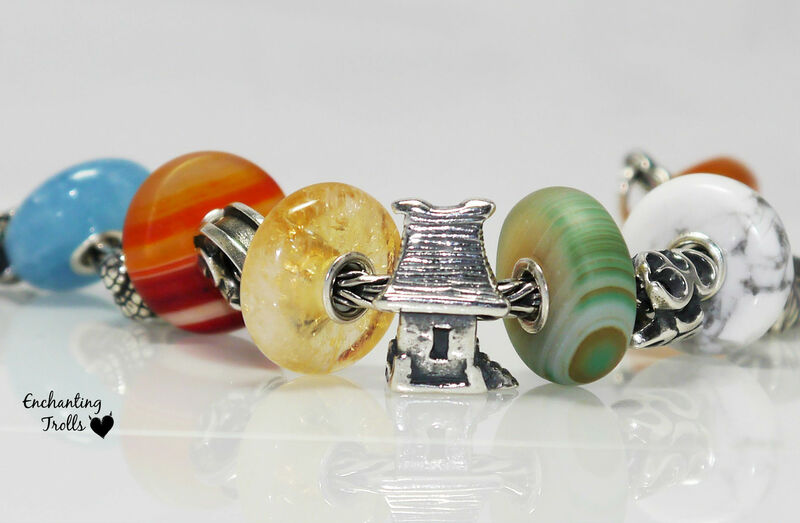 The official release date for the kit was 4th June, however it is my understanding that retailers were permitted to wait until 6th June to coincide the release with Trollbeads Day. Whilst this may have added to the excitement of the day itself, I personally think it would have been better if the two releases were slightly more staggered to allow full appreciation of both releases. 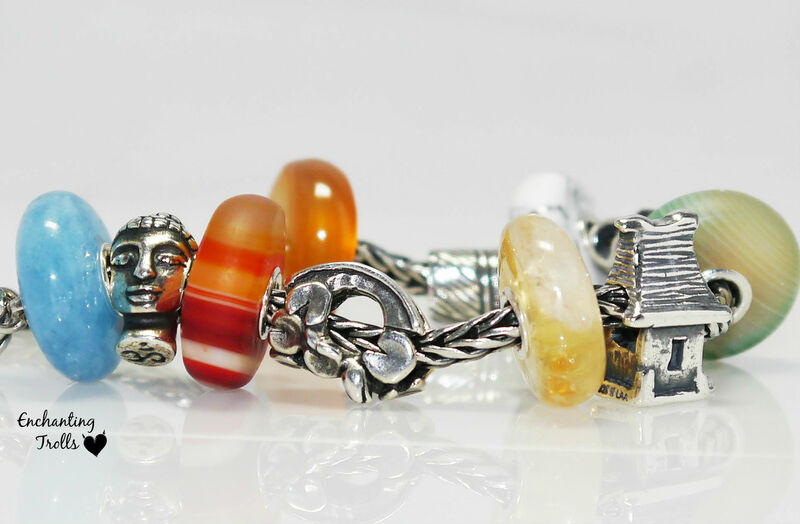 That aside, Trollbeads Sunbeam Kit is a striking set of six stones. 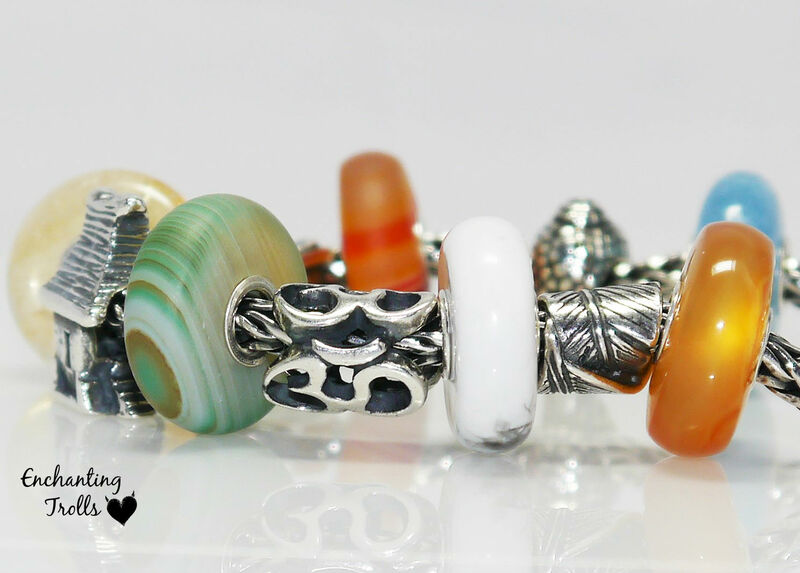 As shown below, the stones include Blue Quartz, Orange Agate Matte, Citrine, Green Agate Matte, Howlite, and Carnelian. The blue quartz is the only stone that is dyed, the others are all naturally coloured. From the kits I have seen, the stones themselves vary quite immensely in terms of depth of colour and patterning, particularly the agates. 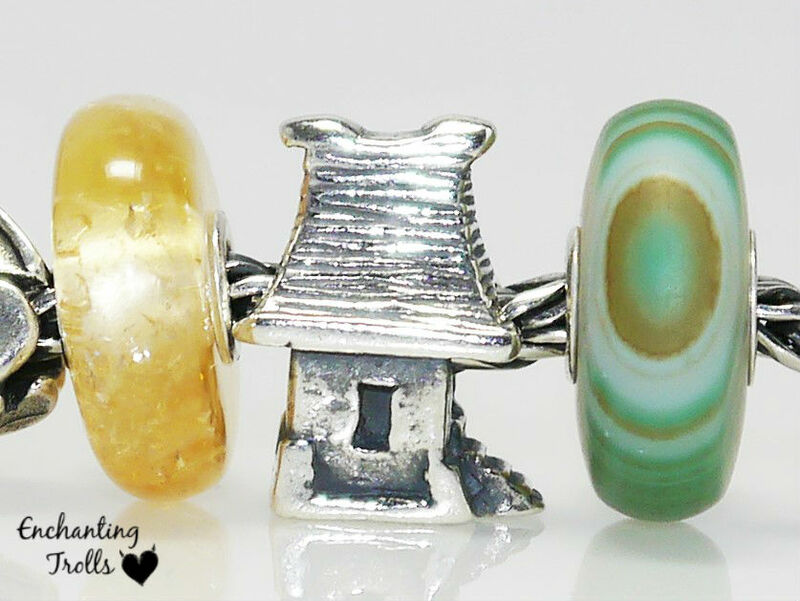 The green agate ranges from a light mint green to the green of the beads in Trollbeads Kimono Kit and as such will blend in beautifully with that kit. The orange agate does actually appear to display red tones as well, and whilst it is visibly orange in the direct light it can appear more red in the shade. 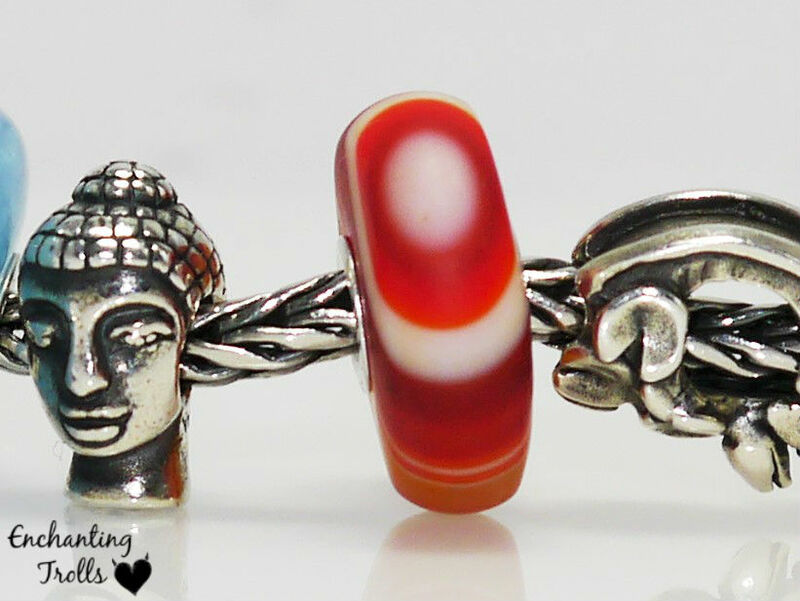 The carnelian ranges from a peachy brown to a deep red, and is a glassy stone. The citrine stone ranges from a super pale lemon to a more golden honey colour, with a varying degree of crystallisation inside – my example really glistens with a rainbow effect in places. The howlite varies in the amount of grey patches / veining. There isn’t really any variation in the blue quartz. All of the stones seem to be fairly consistent in size. 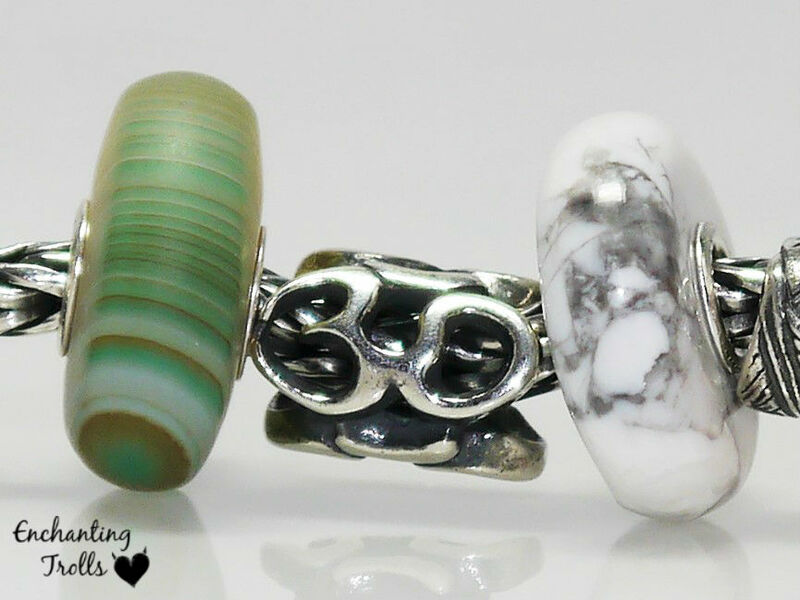 Although at first glance these stones do not seem to be a very cohesive set, once on a bracelet with silvers, they actually look very striking together, and again will work well with the more earthy side of the current bohemian trend. 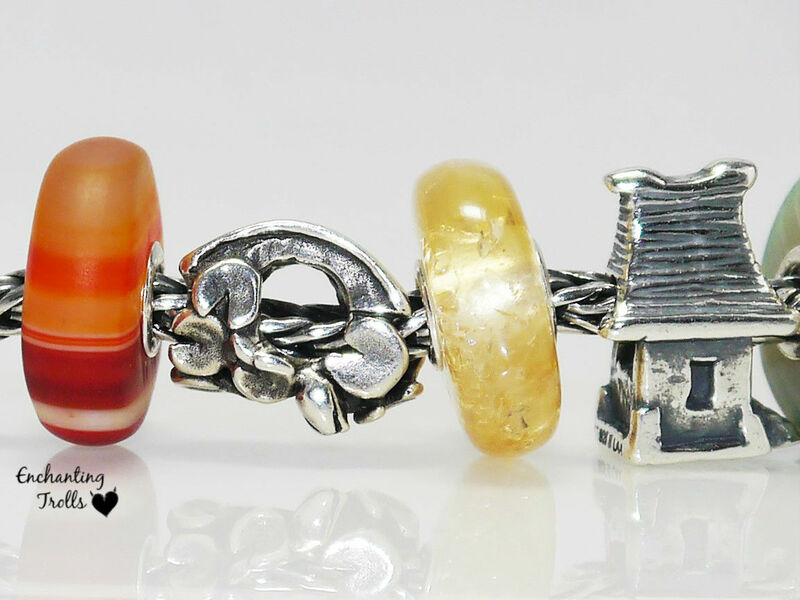 The Citrine and Carnelian will work really well with Trollbeads Ambers. From the outset, the Sunbeam Kit was rumoured to be quite limited in numbers and availability. Retailers appear to have been allocated a small number of kits, and once these are sold out they will not be able to order further stock. So if you are keen to acquire this kit or any of the stones (some retailers are splitting the kits), then my advice would be to do this sooner rather than later. In summary, this is a versatile kit as it can be split up to work individually with a number of colour schemes or worn as a complete set. 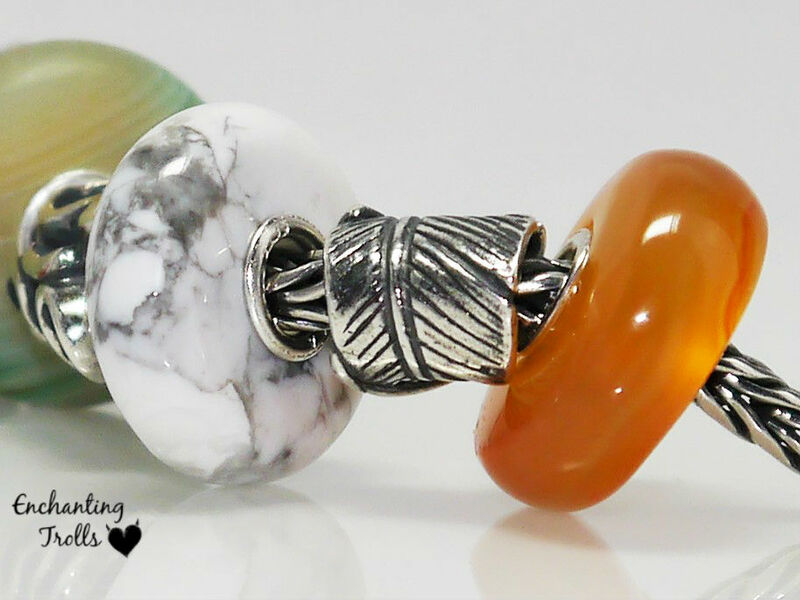 Personally I really like Trollbeads stones, and I was a huge fan of the Summer Stones kit from 2013, so I knew from the outset this would be a kit I was keen to acquire. What do you think to the kit? Do you think the release date was a good marketing strategy or would you have preferred it more staggered? 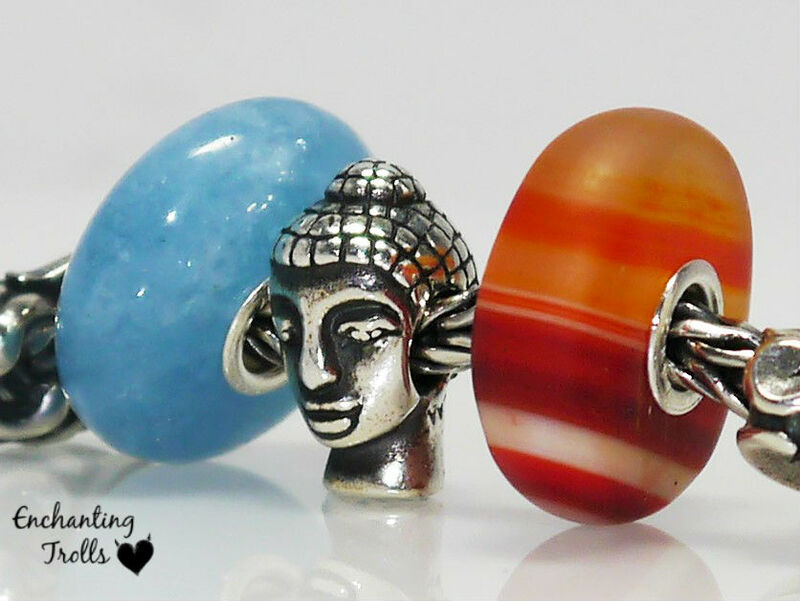 It has been a busy time of releases with Mothers Day, Easter, City Beads, Trollbeads Day and the Sunbeam Kit. 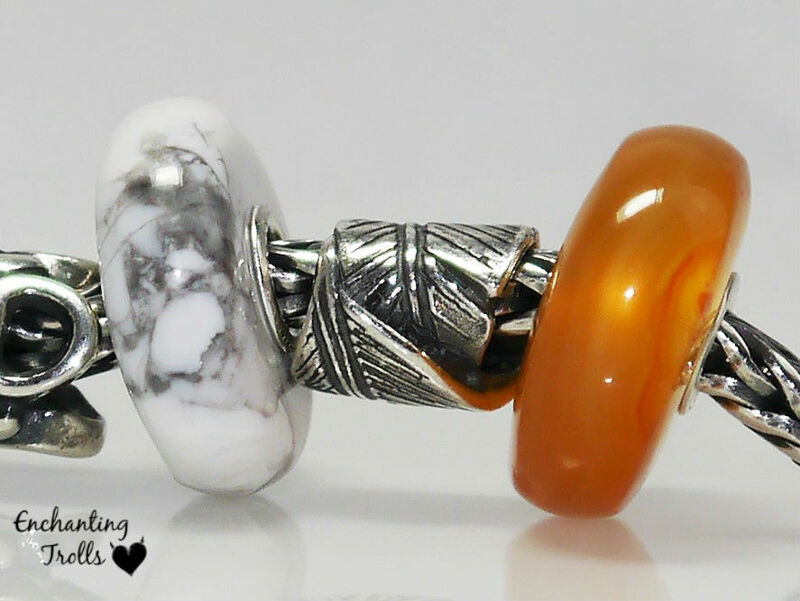 It wouldn’t suprise me to seem another release from Trollbeads before the Fall collection for 2015 … but if not it will be a welcome break to my finances as I am anticipating a summer release of some sort from X Jewellery, though I have not heard of anything as yet! Your stones are lovely – I saw 2.5 kits and the colours were mixed – I passed on the Carnelian as they were very wishy-washy in colour. I’d like another Citrine and Green Agate though!